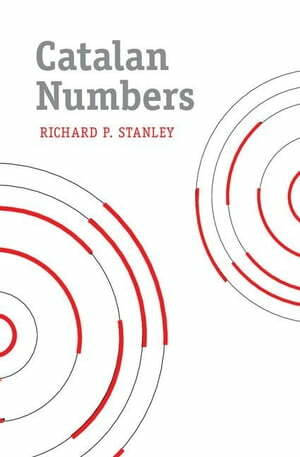 Collins Booksellers - Catalan Numbers by Stanley, Richard P., 9781316309629. Buy this book online. Catalan numbers are probably the most ubiquitous sequence of numbers in mathematics. This book gives for the first time a comprehensive collection of their properties and applications to combinatorics, algebra, analysis, number theory, probability theory, geometry, topology, and other areas. Following an introduction to the basic properties of Catalan numbers, the book presents 214 different kinds of objects counted by them in the form of exercises with solutions. The reader can try solving the exercises or simply browse through them. Some 68 additional exercises with prescribed difficulty levels present various properties of Catalan numbers and related numbers, such as Fuss-Catalan numbers, Motzkin numbers, Schröder numbers, Narayana numbers, super Catalan numbers, q-Catalan numbers and (q,t)-Catalan numbers. The book ends with a history of Catalan numbers by Igor Pak and a glossary of key terms. Whether your interest in mathematics is recreation or research, you will find plenty of fascinating and stimulating facts here.